If you are accused of leaving the scene of an accident, you may be facing serious charges. Depending on the circumstances of the collision, you could be facing more than a year in prison, large fines and a probation period even after you are released. At the law offices of John W. Callahan, Ltd., our skilled criminal defense attorneys fight for clients who have been charged with a hit and run offense. 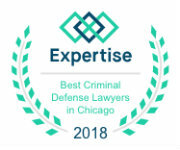 We have decades of experience defending clients in Chicago, Schaumburg and throughout Illinois. Act quickly to speak with an experienced lawyer who will fight for you. Call us at 1-877-335-6697 or contact us online. We offer a free case evaluation. Leaving the scene of an accident is always a serious matter. If only property was damaged, as in a typical fender bender, you may be charged with a misdemeanor. If a person was injured in the accident, the prosecution may elect to charge you with felony hit and run. Our firm has had success getting prosecutors to reduce felony charges to a misdemeanor. We first make every effort to get the charges against our clients dismissed. Our goal is to protect your rights and get you the best outcome possible. Hit and run charges may be only one part of the allegations against you. DUI and hit and run charges are often filed together. We have extensive DUI defense experience. We know how to analyze the facts of your case to create a defense to every charge you are facing. 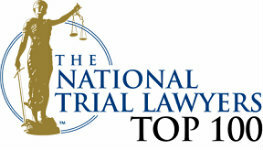 Our firm has the resources and courtroom experience to handle even the most complex criminal case. If you have been arrested or ticketed for leaving the scene of an accident, call 1-877-335-6697 to discuss your case with one of our dedicated attorneys. You can also contact us online to schedule your free case evaluation.